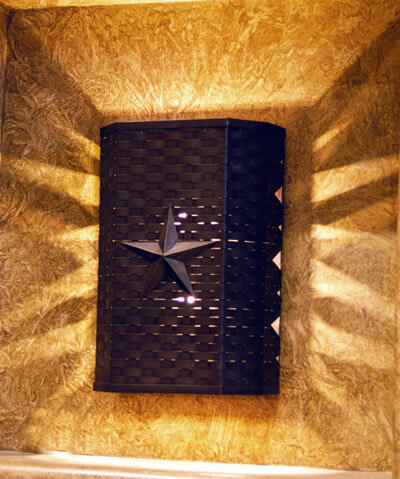 Formed / assembled metal; hand woven metal strips; 3-D hand made star. Shown in dark copper with brass star. Available with and without light notches. 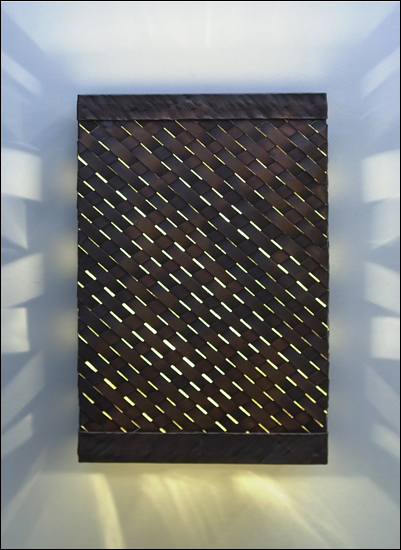 Shown here in Dark Copper, this fixture features a woven metal design. 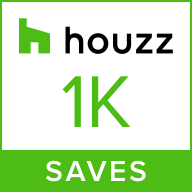 This fixture can be made with or without the light notches. 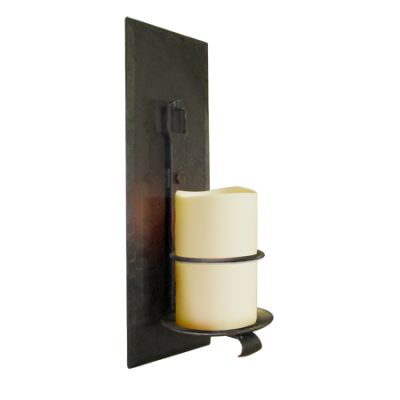 Solid steel wall plate with decorative faux candle lit with candelabra bulb. 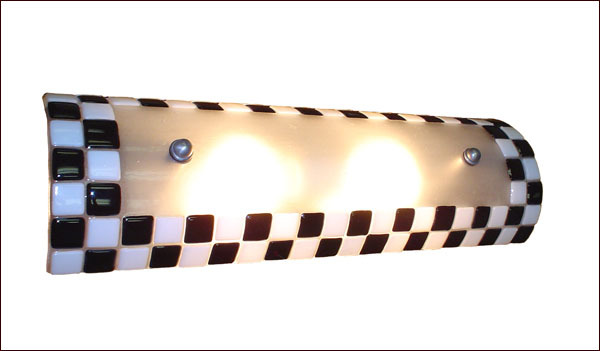 WPRWS: This custom glass tiled lighting sconce with its checkered pattern and curved glass makes a great accent piece and can be made in any array of colors.